Is Your Pet's Bowl Too Large? If you find your pet drinking oddly from his or her water bowl, it might not be simply because he is quirky, though that is a possibility. It might be that his water dish is too large, and it intimidates him! Small dogs and cats should be offered water and food from smaller bowls, while larger pets need larger bowls. So if your pet is struggling to drink water "normally" from their bowl, try a different size. The one featured here is 5" in diamter. Catnip Bubbles Are Fun for Cats! If you want to give your cats some quality play time with you, as well as an extra treat, try catnip bubbles! These bubbles contain real catnip oil and catnip leaves and are ideal for great interactive fun with your cats. 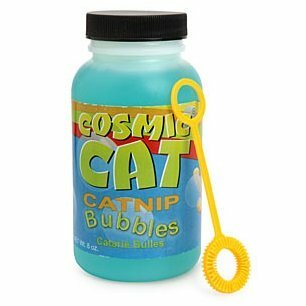 Blow the bubbles and your cats will be chasing and leaping after them especially with the added attraction of Cosmic catnip. A must for any fun loving cat and cat owner. Some cats and dogs have a difficult time jumping due to age, pain, or simply being too tiny, too short, or too fat. Give them a helping hand with pet stairs. Place stairs near a sofa, bed, or anywhere else you want your pets to be able to easily access something. 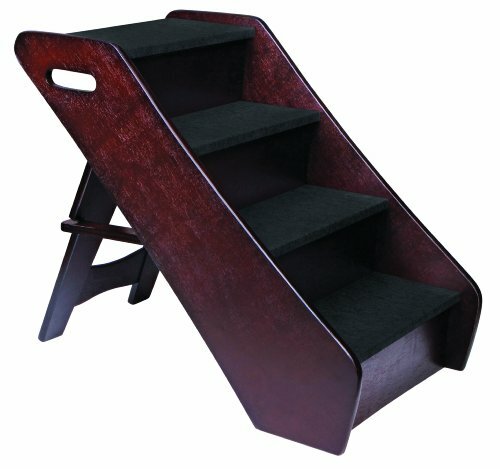 The pet stairs shown here fold down for easy storage, too! In the video below this cute and very smart Cockatoo grabs a scrub brush, that I'm assuming is used to clean his cage and/or toys, and brings it to dad to brush him. Sweet! 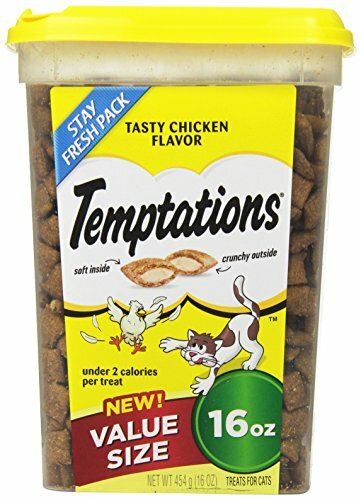 My cats don't like just any cat treat, but they absolutely love Temptations. All of them that enjoy treats love Temptations. I usually buy chicken flavor, though I've bought them all at one time or another. Chicken seems to be the biggest hit with my cats, but they like the other flavors, too. My boy (I have 4 girls and one boy) is the one who will "ask" for the treats, then the girls have to have some, too, of course. It can never be just one enjoying the treats. Same with catnip. If one gets some, they all have to have some. ​Give your cats (and other pets) an occasional treat. It mixes things up for them and keeps them happy, and that's what good pet owners want....happy pets. I found a similar silly toy at a local discount store yesterday. Mine looks like a tiger or a cat rear, and the one featured here looks like a horse. It's crinkles and squeaks to any dog's delight. I actually bought it thinking my five cats would like flipping it around, but none of them seem interested, so I will give it to a friend who has a chihuahua. Hopefully he will enjoy it. These are funny and fun toys that everyone will get a kick out of! I have two cats who love drinking water from a faucet. The are constantly begging me to turn on the water for them. Whether it's a trickle or a stream, they are happy. I had a water fountain bowl for them at one time, and they loved it. I need to get another one, as the one I had stopped working. I've chosen a best seller on Amazon to share with you here. It has a high rating from almost 6,000 customers, and it has great reviews (4.3 out of 5 stars at the time of this post). You'll still need to wash the bowl at least once a week, and keep it filled with fresh water at least once daily (I change my cats' water 2-3 times every day to keep it fresh and cold for them). 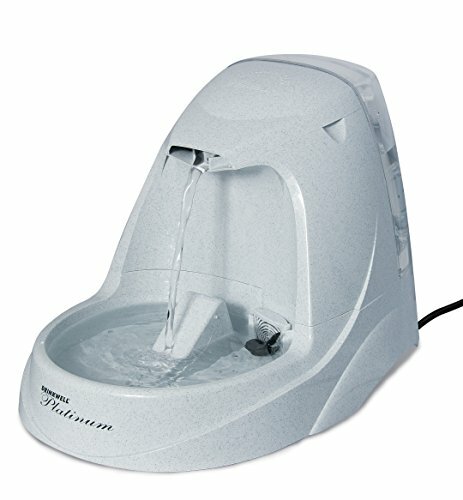 Encourage your pets to drink with a pet water fountain bowl! Perhaps you can't afford a new bed for your pet right now. I have found that my cats love just about anything that is cushy and warm. I placed a folded quilt under their cat tree, and put a felt blanket throw on top of it, and they love it. They also have a wicker bed, and 5 pet beds to choose from, and they still occasionally enjoy the quilt bed. I keep throw blankets on my sofa in the winter to throw over me when watching TV, and they make a bed out of those, too, so you don't necessarily have to spend a lot of money to keep your pets happy and comfortable! Here is some pictures of my cat, Beany, on my sofa. She climbed on my sweater, which was draped on top of the throw blankets, and slept there for hours. This is Lola. She was a stray that came around 5 1/2 years ago. She was young then, perhaps 5-6 months old. She is the most determined cat I have ever had (and I've had many). She's a talker, too. Lola has gotten me through some difficult times, and has made my life brighter. Don't know what I would do without this punkin'. Water ~ You should keep a fresh supply of water in easy reach for your pets all day long. I, as the owner of A Brighter Day Pet Supply Store, have multiple cats. I have had more than one cat at a time since 2005. They love water as much as any dog. I have 3-4 water bowls in various places throughout my home, and I change the water 2-3 times a day (typically 3 times). They love fresh, cold water. I also have two cats who love drinking out of the sink in the bathroom. I rarely have a solo trip to the bathroom. One or two cats always keep me company. I wash all of their bowls out at least once weekly, too. I cannot stand seeing dirty, slimy pet bowls at peoples' houses. Yuck! How would you like to drink or eat out of filthy dishes? Food ~ I know vets don't recommend leaving food down all day for your pets, but feeding them at intervals throughout the day. I have always left food down for my cats. They have 4 dry foods to choose from, and they get a treat of canned food 1-2 times daily, plus treats a few times a week. I can't stand the thought of any animal being hungry. It probably comes from my mom's habit of always feeding everyone and everything in sight :) Make sure you feed your pets quality food. And if they are having digestion issues, skin rashes, etc., take a look at the ingredients in the food you feed them. Also if you have multiple animals, and some tend to hog the food, make sure the others get a chance to eat. Dogs often eat everything in site, leaving other dogs and cats hungry and malnourished. Watch them at meal times, and make sure each gets adequate food. 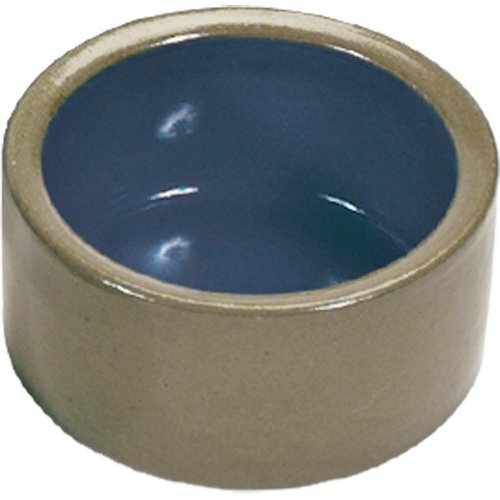 My cats each have their own food bowls, and they are used to it. They don't try to take the others' food. Bathroom Access ~ I have cats so I have four litter boxes throughout my house. I scoop them 1-2 times daily, and wash them out once weekly, and put entirely new litter in them. I use clay litter, which is safer than scoopable litter. If you have puppy pads down for a dog, please keep them changed and as clean as possible, and if your pet uses the bathroom outside, make sure you are able to let them out within a reasonable time frame, and don't make them wait all day while you're at work or shopping, etc. If you're going to be gone all day, consider hiring a pet nanny to give them fresh water, let them outside, and possibly even feed them. Pets need attention! Take care of them, and they will give you years of unconditional love! Offering supplies that will help make your pets' days brighter!